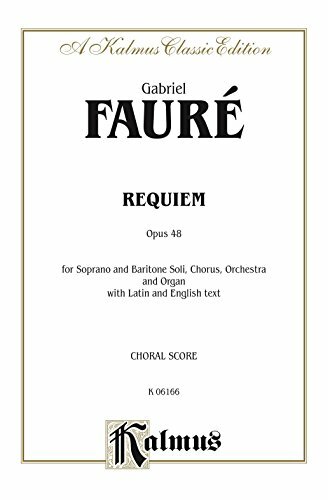 Written between 1887 and 1890, Gabriel Faure’s setting of the requiem is a departure from traditional structure. Faure said the following of his work: "It has been said that my Requiem does not express the fear of death and someone has called it a lullaby of death. But it is thus that I see death: as a happy deliverance, an aspiration towards happiness above, rather than as a painful experience." This score represents the choral portion of the Requiem, each voice on a separate staff, including solos, with both Latin and English text. This book has an orchestra reduction for either piano or organ accompaniment by Malcolm Binney.